Well what a busy month we’ve had! March saw over 100 lucky visitors attending our four hard hat days in church. The sessions included a chance to ascend the scaffolding using some daunting ladders. The EDP’s Donna Louise Bishop posted this video of her ascent and wrote this great piece on the experience. Over the 4 sessions, we had visits from BBC Look East, BBC Radio Norfolk’s Anthony Isaacs (Listen here from 1:20:30). We also welcomed a number of experts who came to speak to our visitors about the importance of what they would see. 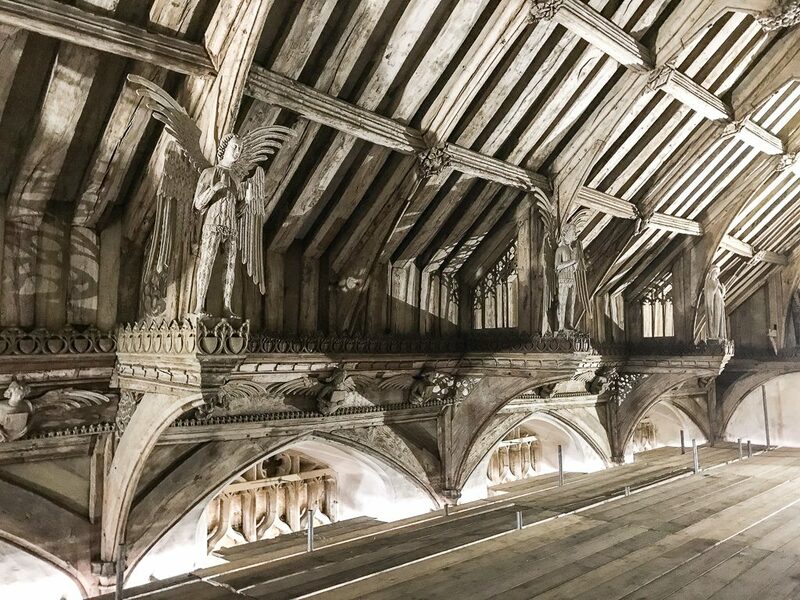 Michael Rimmer, author of the Angel Roofs of East Anglia visited along with Sarah Cassell (PhD Candidate on the subject of Angel Roofs), and they provided a wealth of information on the history of our roof. Art conservators Dr Andrea Kirkham and Dr Lucy Wrapson also gave insights into their work in the church as well as a fascinating perspective on the importance of the building and its treasures. We’re incredibly grateful to all who made these days possible, including members of the PCC, Gethin Harvey of Nicholas Warns Architects, and Keith and Jeff from GF Atthowe, our main building contractor. Whilst the hard hat days are now complete, we hope to be able to offer similar opportunities in the future. 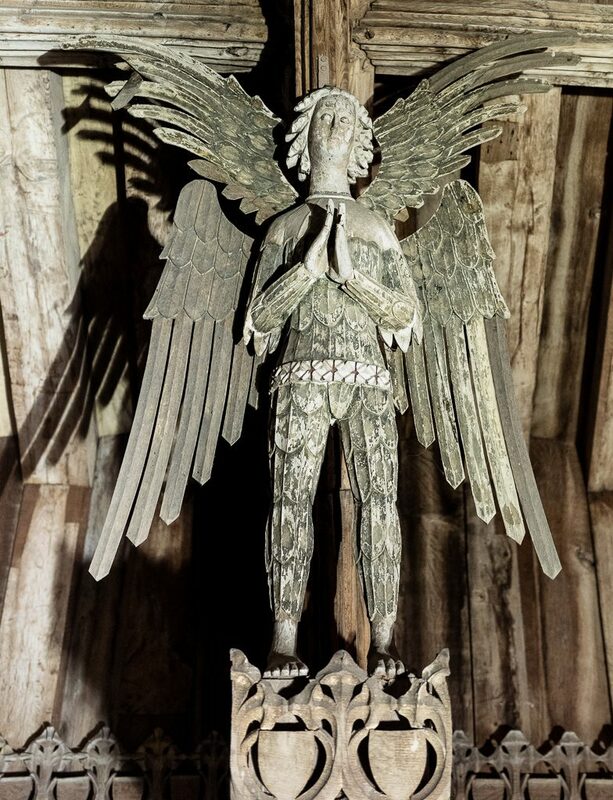 The investigation work done as part of this repair project has identified need for a large amount of stabilisation work on the medieval paint, and so if we can find funds, we may well be back up with the angels again in a few years time. Visitors were encouraged to post their pictures online, and many are available through the parish Facebook Page. Twitter users have also been adding pictures there using the hashtag #CawstonAngels. Attention now turns to progressing the project and getting the important repair work done. We hope to see the clerestory windows returning to the church very soon, and the work in the churchyard is progressing well. We’re also still seeking financial support for the project, so if you’d like to donate you can do so here. Don’t forget, if you’re a UK taxpayer, please tick the Gift Aid box.